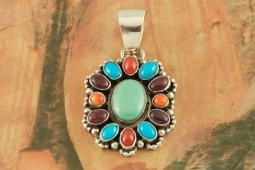 Stunning Cluster Pendant features Genuine Sleeping Beauty Turquoise, King's Manassa Turquoise, Red Coral, Purple Spiny Oyster Shell and Orange Spiny Oyster Shell set in Sterling Silver. Free 18" Sterling Silver Chain with Purchase of Pendant. 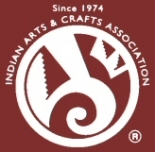 Created by Navajo Artist Bea Tom. Signed by the artist.